Roland Emmerich and Dean Devlin's action-packed 1998 film will stomp onto 4K in May. Sony is working on the 1998 version of Godzilla for 4K Ultra HD Blu-ray on May 14. Following French atomic bomb tests in the South Pacific, an unknown creature is spotted passing through the Panama Canal. Scientist Niko Tatopolous is called in to investigate the matter, and he quickly arrives at the conclusion that a giant, irradiated lizard has been created by the explosions. 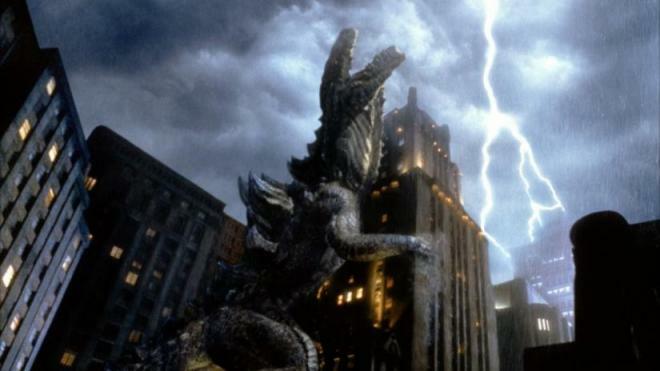 Godzilla® then makes its way north, landing in Manhattan to begin wreaking havoc in the big city. You can find the latest specs for Godzilla - 4K Ultra HD Blu-ray linked from our 4K Blu-ray Release Schedule, where it is indexed under May 14.